Students at the Hebrew University affiliated with the school’s local chapter of the Hadash faction, a part of the Joint Arab List, today desecrated the memory of IDF combat soldier Sergeant Ron Kukia, who was murdered last week in the city of Arad. 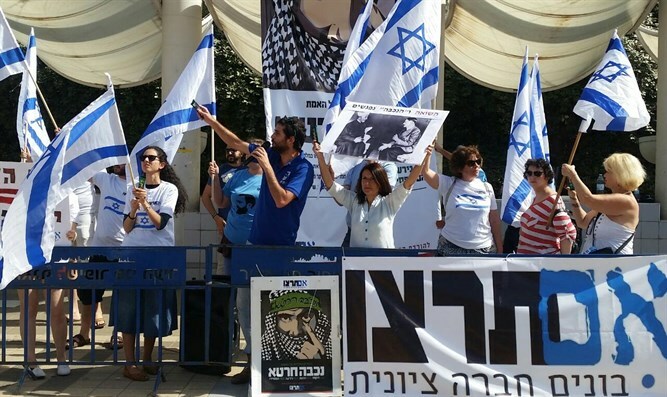 Members of the Im Tirtzu movement, a collegiate NGO whose goal is to “strengthen and advance the values of Zionism in Israel”, established a memorial to Kukia at the university, and in response Arab students associated with Hadash set up an ‘information booth’ in which the PLO flag was hung. This is the third case in the past two months that such an incident has been discovered in the Hebrew University. A few weeks ago, those same Arab students posted a picture of the late Minister Rechavam Zeevi’s murderer. Only two weeks ago they shouted slogans praising the so-called Shahids and calling for “throwing the Zionists out”.